Updated Friday January 25, 2019 by Hamilton Football Association. HFA is now accepting registrations for those that may be interested in coaching for the upcoming 2019 winter camp/spring /fall seasons. If you are interested in coaching, please register as a coach at jrticats.com (middle left of page you will see a red coach’s registration box). 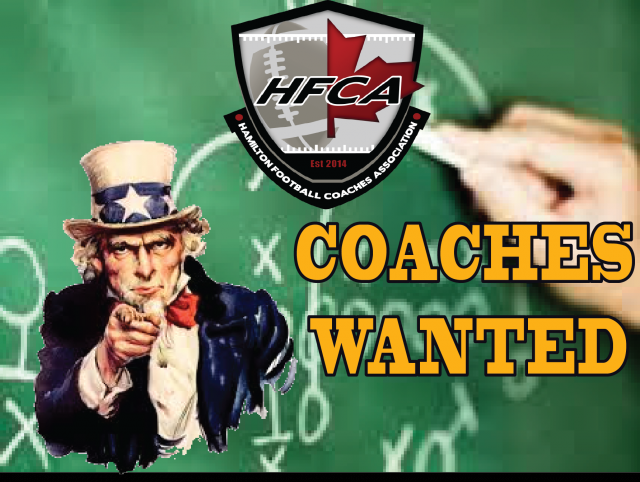 Please register to coach or invite friends that wish to coach in our HFA youth division to register at www.jrticats.com so we can continue our strong momentum in 2019. Providing you are active and registered with HFA as a youth coach, we will provide you the tools and professional development your fingertips. By agreeing to coach in HFA youth, you will receive a Glazier clinic membership and it will be valid for as long as you are coaching within our association and committed to HFA this coming year. Access to www.HeadCoachAcademy.com a site with many coaching resources and communication techniques. Get your coaching Safe Contact training paid for by HFA if not already done.